Melton mum, Jaz Lynch-Bolton, who has been campaigning for more to be done to tackle crime in the town, has declined a request by local MP, Sir Alan Duncan, to apologise to him and the police for words she has used to mock them on social media. 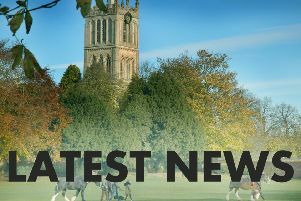 We published a letter in the Melton Times last week in which Sir Alan hit back at critics of both him and the local police force who were angry that not enough was being done to deal with an upsurge in burglaries, thefts and arson attacks. Many were also unhappy that he did not attend a public meeting organised by Mrs Lynch-Bolton to debate concerns over criminal activity in the town. In his letter, the MP called on Mrs Lynch-Bolton to apologise through the Melton Times for the way she had gone about her online campaign, using swear words in some of her posts. Firstly I would like to thank the Melton Times for the right of reply to Sir Alan Duncan’s statement in last week’s edition of the publication. I would also like to say thank you for the huge response of support I have received both personally and on social media that are completely behind what we as a community are trying to achieve. Those members of the public that attended the meeting at John Ferneley High School on the 24th of January will recall that I opened the session with a very clear statement that this was never about a ‘Melton Mum verses the police’ but a Melton Mum who has totally lost patience with the worsening situation in our town and wants to see concrete plans put in place to address the increased crime rates and also combat the seriousness of the crimes in our town and the fact that residents no longer feel safe in their homes. I wanted to provide a platform for the public of Melton to come together and voice their concerns and ask the empowered authorities what was being done to keep our town safe. On several occasions I personally tried to contact Sir Alan Duncan, Chief inspector Simon Cole, Inspector Siobhan Gorman with no response to all of my requests. Unfortunately in order to initiate a response I had to launch a campaign which they could no longer ignore on social media. This approach worked and eventually Inspector Siobhan agreed to hold the meeting. Those that were in attendance will recall that although the public were passionate in their voices due to the personal nature of some of the crimes they had suffered, the meeting was conducted in a very civil manner. Both Inspector Siobhan Gorman and Sergeant Iain Wakelam had the opportunity to address the concerns and questions of the public. Melton Borough council representatives were also in attendance to answer questions. Since the meeting we have seen a proactive response from the local police who are trying to do their best with scarce resources. They are now more active on social media informing residents of their whereabouts, appealing for the support of the public who have information to share and trying to make their presence felt. Whilst this is no substitute for more resources and ‘feet on the street’ it shows the people of Melton that they recognise the concerns and are being proactive and doing what they can. I will continue to work closely with Inspector Siobhan Gorman as she puts in place her plans to improve the policing in Melton and the surrounding areas and she has agreed to a follow on meeting in around 6 months time to report back on progress being made. I would urge our community to attend this forum once we have the date finalised to have your say. As for Sir Alan Duncan I think the residents of Melton have spoken. The levels of frustration that were demonstrated at the meeting and the continued flurry of feedback I have received and witnessed on social media clearly point to the fact that doing nothing will no longer be tolerated. He has had numerous opportunities to support our town, and in his senior position in the cabinet I would have expected him to have done more with this position. Had it not been for the recent campaign and heightened levels of attention I doubt whether he would have even turned his head in our direction. Before last week when was the last time Sir Alan came to Melton to listen to the residents feedback and have the opportunity to raise concerns? Surely that’s the minimum we should expect of our elected politician? 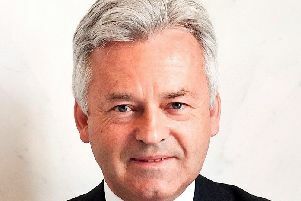 I would like to remind Sir Alan Duncan of the statements he made back in 2017 when we last saw a crime increase in Melton: ‘We all need to feel safe in our homes and town, the police need to take this serious and act quickly so the culprits get caught. Together we will develop an action plan to keep Melton safe....‘. Nothing has changed in fact it has deteriorated. What exactly was your action plan? Unfortunately it has been a busy week again on the crime front in our lovely town with a large number of offences committed. The worst of these was another arson attack on a young family that had their car burnt out in a local estate. They lost a significant amount in the fire including children’s car seats, clothes and coats. I went to see the family to offer my support and donations from the community where I learned the family had only just moved to Melton weeks ago after the father had been signed off from the services. This incident took place in a built up area, next to family homes and other vehicles. These repeat attacks are the type of crimes that have a significant impact on lives and communities and more must be done to prevent them. As for an apology for Sir Alan, I will happily apologise to him personally for using a few frustrated swear words if he agrees to come back to Melton and apologise to the residents of our lovely town and the local area that have been personally impacted over the last 2 years. We have seen sustained increase in the levels of crime whilst he has stood by and watched as our elected representative and simply not delivered on his commitments or his elected responsibilities. I look forward to him getting in touch.